This is my third review of The Neologist and this disc rocks like a pontoon boat in the middle of a storm. Considering that The Neologist is just two incredibly talent dudes still keeps me in awe. "Coming Full Circle" is nine tracks of brutal guitar and smashing drums. There are unique sounds on this offering via acoustic guitar and strings, the sound range is wide and everything sounds productively superb! The vocals are strong but melodies pepper the songs in between. I can put this disc on and either work out, clean my entire house or dent the walls. It's powerful stuff and it never lets up. You'll be leaning in for a closer listen on a few tracks but you'll also be checking the door for heat when the metal starts to melt everything around you. The sound becomes enveloping. These guys fuse progressive metal with death and melodic metal. The sound is heavy but not crushing because of the style in which it's presented. Each song flows along and the guitar really shines while it dulls your senses at the same time. Devin Walsh and James Lewis make a great duo and their musical talent is unmatched in the spiked ring of metal. 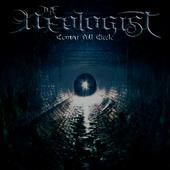 There is one instrumental titled "The Abstract" which really shows that, even without cool lyrics to their songs, they can rip the flesh off your bones with tasty guitar and face-slamming drums. For more information, check out https://www.facebook.com/theneologist. This disc is only eight songs but it will last long after the echo has left your head. 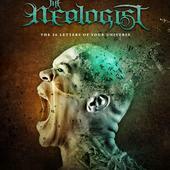 The Neologist are two guys who put out some of the best melodic progressive metal this side of mother earth and, to make it even heavier than gravity, they have chosen to cover songs from the band In Flames. 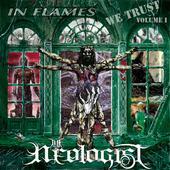 So if you're a fan of In Flames then The Neologist will become another band in your metalcabulary. Here is the track listing for "In Flames We Trust: Volume I" and from which In Flames album the original appears on. 1. Jester Script Transfigured (Whoracle, 1997). 3. Ordinary Story (Colony, 1999). 4. The Quiet Place (Soundtrack to Your Escape, 2004). 5. Goliaths Disarm Their Davids (The Jester Race, 1995). 6. Only For the Weak (Clayman, 2000). 7. Artifacts of the Black Rain (The Jester Race, 1995). 8. December Flower (The Jester Race, 1995). The other really cool thing about this album is the cover. They combine pictures from all the covers from the In Flames albums into one montage. You can also get this disc for free (at the the time of this writing) at http://theneologist.bandcamp.com/album/in-flames-we-trust-volume-i. For more information, check out http://www.theneologist.net. I love heavy music. It's like a weight pushing down on me and I have to get it off and onto another person. Listening to The Neologist is like tossing boulders around, from the first riff to the last (if you're still alive by then) these guys come out sawing on their axes. The drums gallop along like a wild mustang and don't bother trying to tame Devin Walsh or James Lewis -- it's futile. These two metal maniacs create some of the most beautiful brutal music I've heard in a while and, since I’m starting with their debut disc, there will be brain bruises from here on out. Yeah, you read that correctly: just two guys who want to leave their own scar on the metal world. Walsh's and Lewis' influences include Metallica, In Flames, Soilwork, COB, Dark Tranquility, ATR, Trivium, and Disarmonia Mund, and, believe me, they throw everything at you. Instead of trying to move them left of center you should just hang on for the bumpy ride. Each song stands on its own as a meaty metal track; the vocals are gruff but can be clean at times. The guitar solos make tablature look like a foreign language. The harmonies are really great so you could call it melodic metal. Either way, just cue it up and let it shake your foundation. Since digital music is the best way to obtain anything new check these guys out and download this disc (name your price as of the time of this writing) at http://theneologist.bandcamp.com/album/the-26-letters-of-your-universe. Copyright © 2015 by R. Scott Bolton. All rights reserved. Revised: 02 May 2017 23:02:43 -0400 .